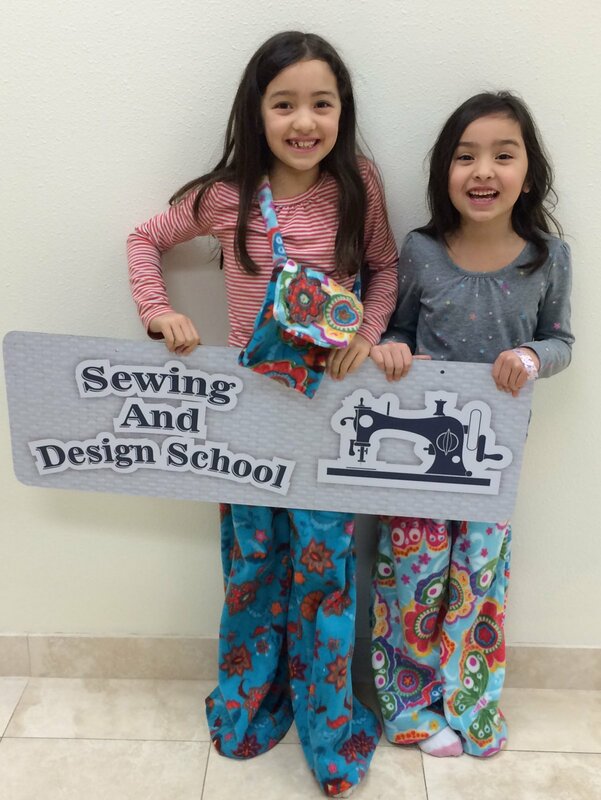 Kids 10 and up will have fun learning to sew a project of their choosing on a sewing machine. Machines are provided but each child must bring their own fabric, fabric scissors, all-purpose sewing thread and pattern. If you wish to bring your own machine from home to be familiar with it, bring the manual and all the attachments. Kwik Sew 3786 Easy shorts or pants. 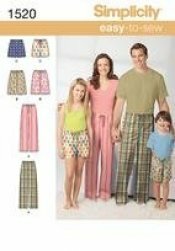 Select cotton types of fabric like flannel or broadcloth (please pre-wash the fabric with detergent and dry in the dryer to shrink the fabric) or select fleece (you will NOT need to pre-wash, this does not shrink. McCalls 7012, available in XS-SML (sizes 3-4 and 5-6) and MED-LRG - XLG (sizes 7-8, 10-12 and 14-16). 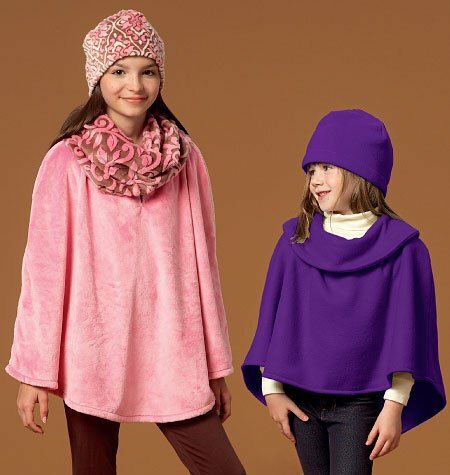 Children's/girls's Poncho, Hat and Scarf. 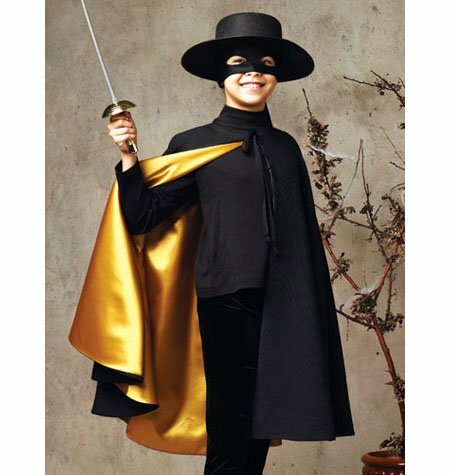 This is designed for medium-weight moderate stretch knits like Fleece or Sweatshirt Knits. Do not wash the fleece before you bring it to class but if you buy a cotton sweatshirt fleece, that needs to be pre-washed for shrinkage. 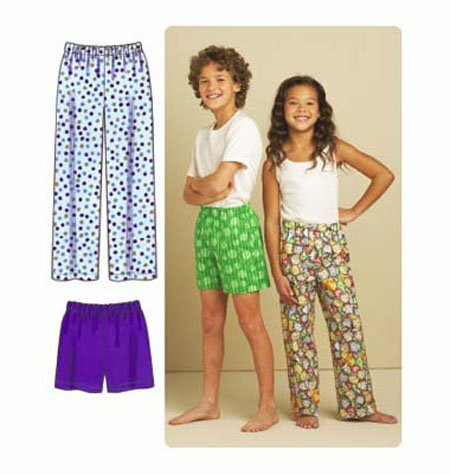 Child's teens' and adults' lounge pants and shorts in two lengths with elastic waistband and tie. 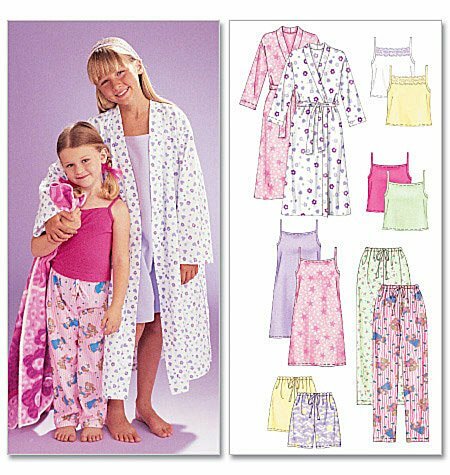 Use cotton types, cotton flannel Fleece or Knit fabric. (Wash the cotton and knit fabric before you come to class to shrink it) DO NOT WASH THE FLEECE, it isn't necessary. Choose from with of these patterns. If there is another pattern you wish to use, please contact Ryliss at Ryliss@comcast.net. Pattern, fabric, all-purpose thread, fabric scissors, elastic if needed. Throughout her career she developed workshops and fashion shows, hired instructors and conducted fashion and fabric shopping field trips to Portland, San Francisco and New York. Ryliss has been a Contributing Editor at Sew News Magazine and Fashion Judge at the 2-14 RAGS. She may be contacted at ryliss@comcast.net.